Future Cadillacs To Feature Touch Sensitive Center Stack Controls? 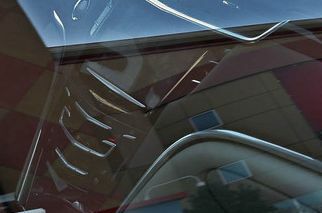 Take a look at the interior photo of the Cadillac XTS Concept above and you may notice that there are absolutely no knobs, or switches or large buttons cluttering the polished center console of the vehicle — suggesting that the controls would be operated via touch sensitive technology a la Lincoln MKX. Because the vehicle was initially unveiled in the form of a “concept”, most of the automotive media may have brushed this feature off as something that wouldn’t enter production. Now look closely at this recent interior spy photo of the XTS. Notice any similarities to the concept? We sure do. It seems this neat feature will make its way to production after all. But will it make it to the upcoming ATS, or next generation CTS and SRX models and whatever else comes? We’re willing to bet on it. Yeah; I think this is why we haven’t heard of a Chevy MyLink or Buick IntelliLink equivalent from Cadillac yet. This should be great! Cadillac has stated that all 2013 models will receive a unified center stack and navigation system, straight out of the XTS.